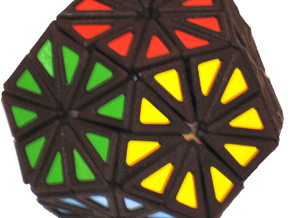 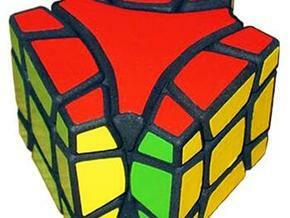 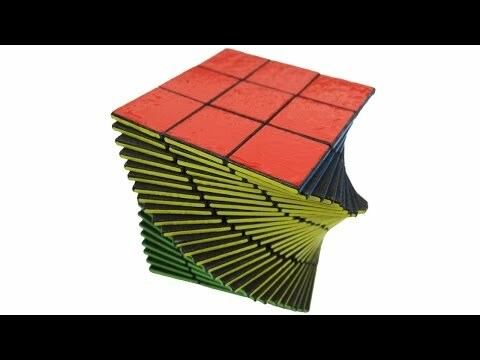 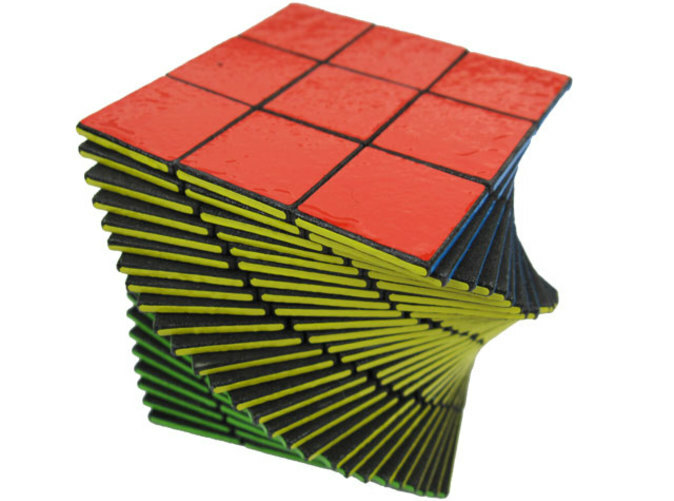 Pancake Cube is a twisty 3x3x27 shaped to a cube. 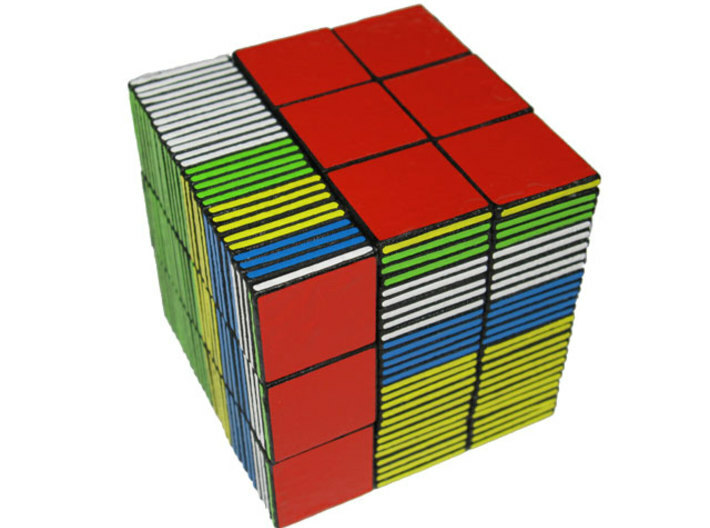 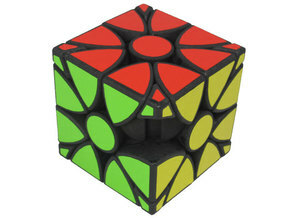 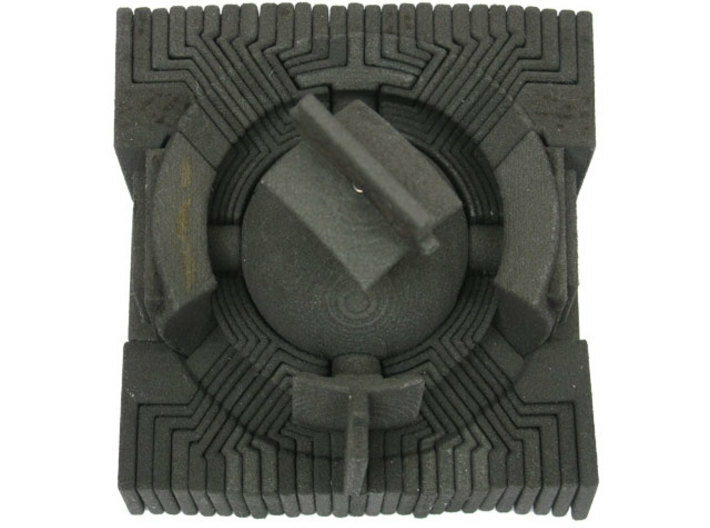 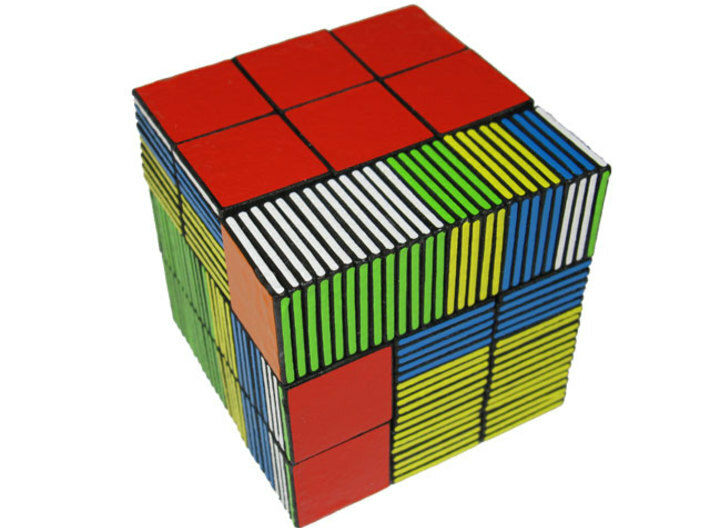 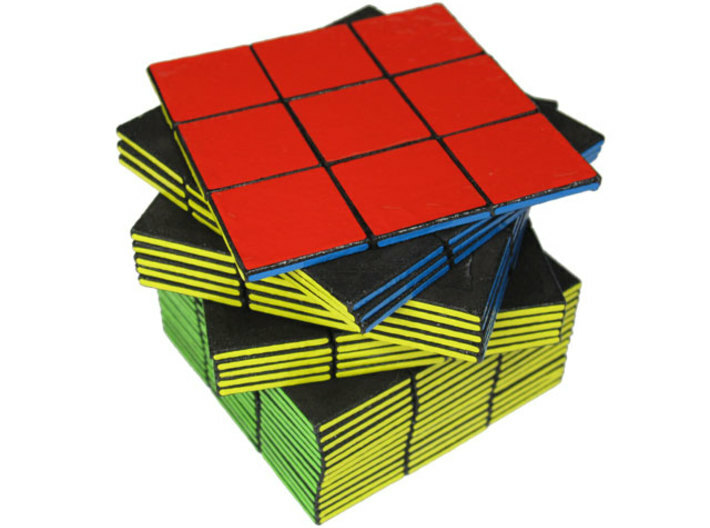 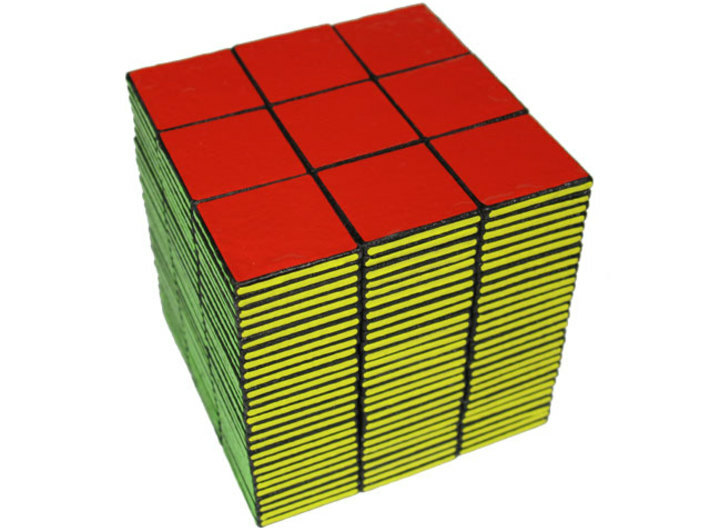 It is functionally similar to the WitEden 3x3x9, albeit with many more layers. 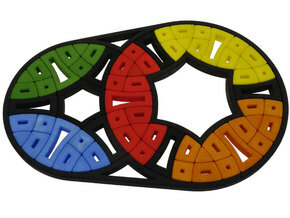 You may want to order this handy tool as well to break in your Pancake Cube to make it turn more smoothly.